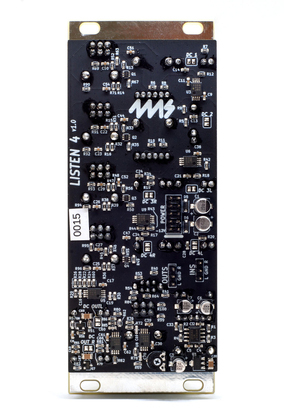 Connect your Listen Four to other Listen modules or the WAV Recorder using the Audio jumper cable. 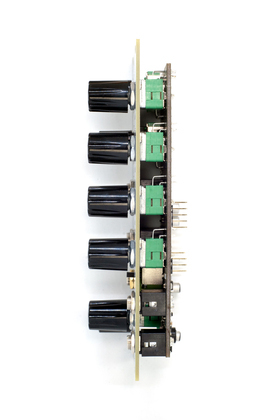 Test conditions: Test signal input into each channel. Level knob at 0%, and other channel Level knobs at 100%. Main Level knob at 100%. Frequencies from 20Hz to 20kHz tested. Measured signal subtracted from signal with all Level knobs at 0%, and result given in dB as a ratio to output signal with test channelsâ€™ Level knob at 100%. Worst-case results for any channel and frequency reported.